THE most unusual design brought to our attention this month is the air liner invented by Mr. R. Knott of Lewisham, England, who hopes to cross the Atlantic with a ship of this type carrying 600 passengers in from 12 to 15 hours. 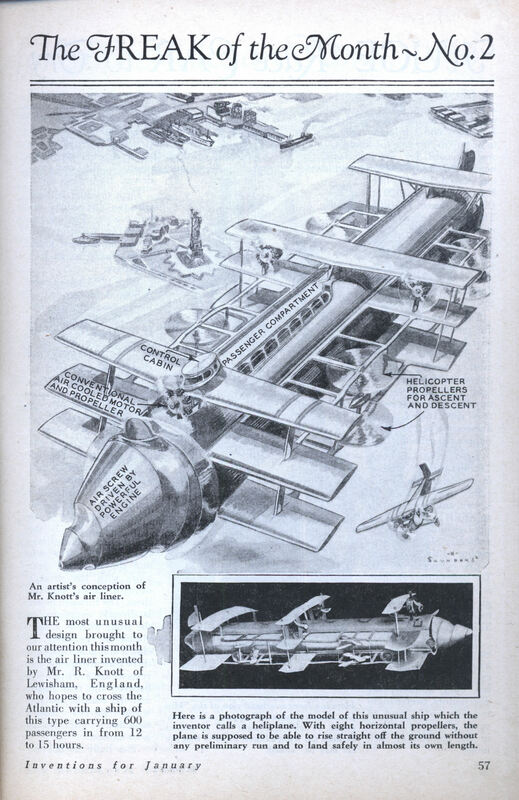 An “Airscrew”-propelled airplane, now that’s a neat idea! I guess the airplane can be used as an efficient tunnel borer in case of crash. Charlie, is there a #1, #3 and so on? 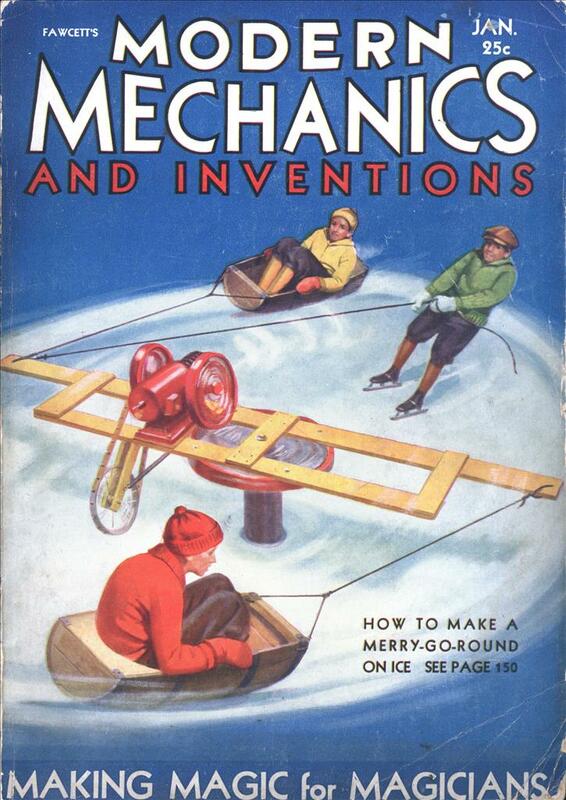 That “air screw” business was one of those things that just wouldn’t go away in the 30s. Was there ever a real-world application of it? I know that it was popular for watercraft at one time too, but again, other than Bushnell’s Turtle, has it gotten a lot of use? jayessell: I know have #1, it was a very short lived feature, I’m not even sure there was a #3. Hi, Im a free printed magazine publisher from Mexico City and I was wondering if I can take some of the contents of your page to make a kind of section of the magazine that is non-profit. Can anybody help me in this? Does the inventor realize that for vertical take off the thrust has to more than equal the weight of that monster? Also co-ordinating the power of 8 lifting propellers spread widely on the plane in real time is going to be fun. i think the inventor is dead. the technology does exist for the “heli plane”. he was just a bit ahead of his time.